When the walls of the atrium heard the stories of struggle, of dissent and of resistance by peoples of Southern Africa, they echoed. The atrium, at the Old Women’s Jail of Constitution Hill in Johannesburg, was the venue of the 2nd Session of the Southern Africa Permanent Peoples’ Tribunal on Transnational Corporations (TNCs). 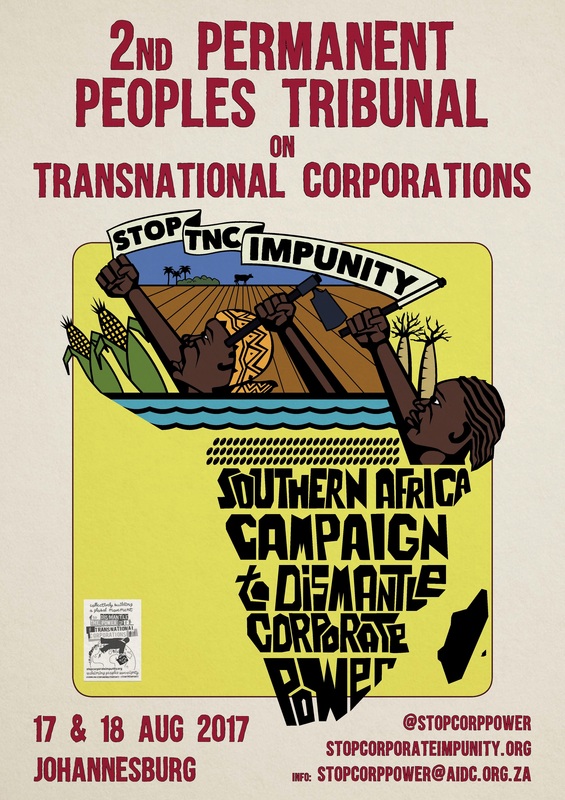 The Tribunal is a major part of strengthening the Southern Africa Campaign to Dismantle Corporate Power, and it came a year after the first Session, also the first Tribunal of its kind held in Southern Africa, in Manzini in 2016. It was held at this time and place as a part of the Southern Africa Peoples’ Solidarity Network’s People’s Summit, taking place parallel to the SADC Heads of State Summit. 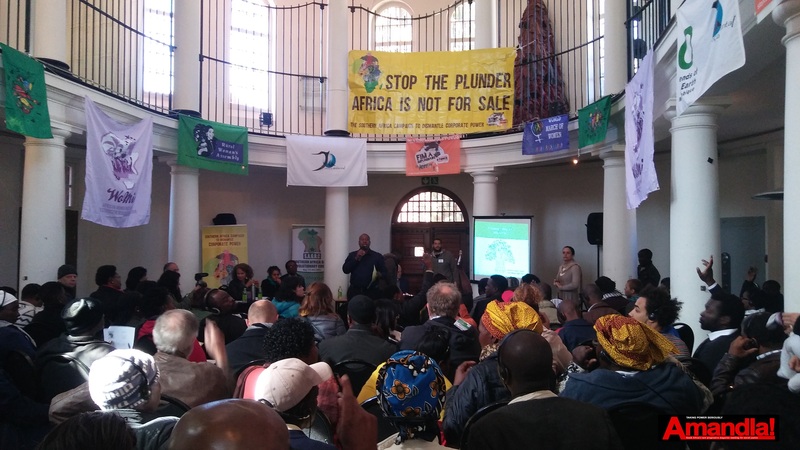 Seven communities and movements from Southern Africa told an audience of 150 people over two days about their struggles against Transnational Corporations. These ranged from abuses on the ground to illicit financial flows and other financial crimes and abuses. Testimonies were given by communities from Madagascar, Mozambique, Tanzania, Malawi, Zambia and Mauritius. They told stories of the destruction of livelihoods, cultural and sacred symbols, graveyards, rivers and soil. They told of the way in which our own governments enable private companies to plunder our food sources, and even criminalise dissent of peoples for the benefit of these businesses. They explained how the World Bank, International Money Fund and World Trade Organisation pretend to better the lives of the poor. In fact they facilitate the entry and exploitation by companies through holding our governments hostage. And they explained how bilateral trade relations and tax treaties and tax havens knowingly allow companies to anonymously steal our resources with impunity. They undermine the system of food input subsidies and small-scale farming, mostly by women, using seeds that have been planted by farmers for generations. They destroy the agricultural livelihood and market for any farming and production that is not on a major corporate scale. 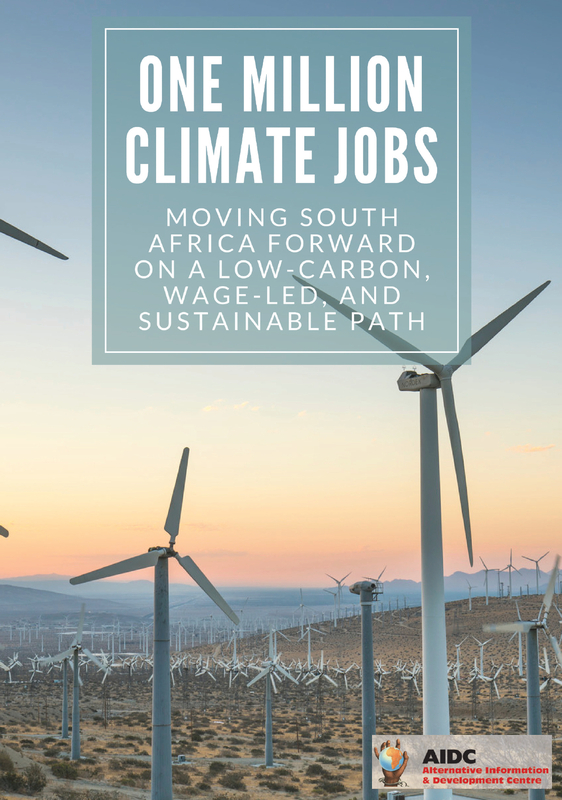 These cases were built up over months of work by the communities, including research into financial activities and corporate ownership and into the physical impacts of the companies’ activities. This process was assisted by a workshop in Maputo, with experts on investment agreements, trade, tax and community law assisting. Three of these experts also presented their input at the Tribunal, on local and national laws, food systems and illicit financial flows. Over the few days, the communities were able to engage with the experts, meet with each other and create networks from which to strategise and collaborate. It was a space for mobilisation and for creating a great, collective struggle. Over the entire process of the Tribunal, the communities demonstrated the deep insight they used in the development of their cases. It is an entire “architecture of impunity” working against them to increasingly benefit the world’s wealthiest and most powerful. 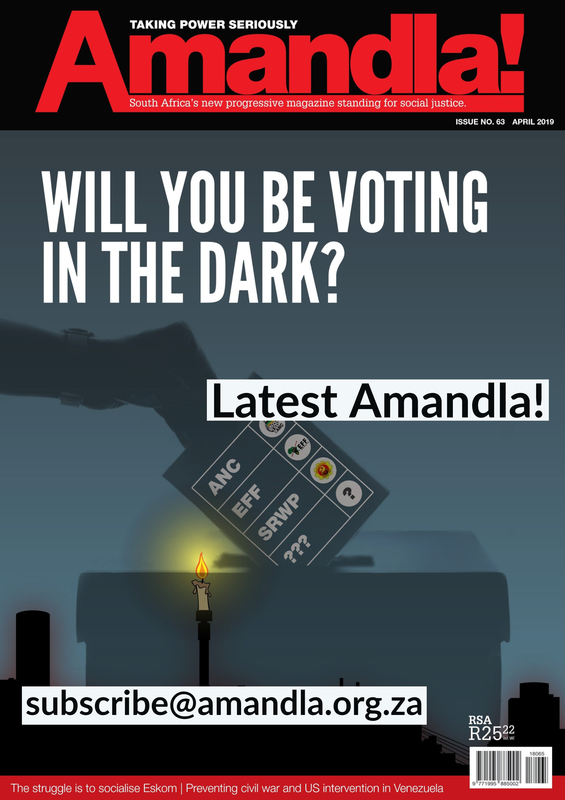 They are strengthened through processes like the Tribunal, where mobilisation takes place to connect these struggles to form a stronger, joint and more impactful fight, and to build the Southern Africa Campaign to Dismantle Corporate Power. The “No to ProSavana Campaign” is fighting not only the actions of TNCs, but also the abuses of the government that leaves them suffering from loss of land, loss of livelihood and in severe poverty. The master plan of the ProSavana program is a state-mandated landgrab that will displace four million farmers to create space for foreign and private investors in commercial agricultural production on a massive scale. The ProSavana program is a Trilateral Cooperation Program for Agrarian Development of the Nacala Corridor). The three partner governments are Mozambique, Japan and Brazil. The entire process of developing this program has taken place without transparency or consultation or public participation of the people who will be affected. The partner governments have repeatedly refused to provide any information to those living in the Nacala Corridor, which is the site of the project, about the impacts that the program will have on their lives and futures. The program will affect 19 districts in three provinces. This creates severe insecurity. People could be displaced at any minute. While the program has been marketed by the state as “sustainable agricultural development” for peasant families and farmers cooperatives, the opposite will happen as their land is expropriated and they are forcefully relocated. They have said that the program will modernise the agriculture practiced by peasants, characterising the peasant agricultural model as one of low productivity. But at no time were the peasants part of discussions about the program. Prosavana also promotes an influx of Brazilian workers, which means local farmers will become a source of cheap labour. Furthermore, the mass scale of agriculture will mean that excessive use of chemical fertilisers and pesticides will contaminate the air and surrounding soil and water sources. As well as the three governments, the program is also supported by multilateral institutions like USAID, the G8 Alliance for Food Security and Nutrition in Africa, WWF, and the World Bank which promote the entry of corporate programs. And already, high level state-investor negotiations have facilitated the entry of several investments in the agribusiness and infrastructure sectors. For example, the logistics infrastructure in the Nacala Corridor is owned by Brazilian company Vale, which is also part owner of Japanese energy and chemicals company, Mitsui. Brazilian and Japanese companies have already bought plots of land. But in line with the programme’s apparent policy of opacity, they are even withholding the names of the companies which have already bought land as part of ProSavana and which will displace communities, to protect the companies from conflict with the communities. There has already been visible change in community characteristics. For example, the implementation of ProSavana Model II has led to community of Matharia losing their land in Ribaué, Nampula province. This has subsequently led to a rural exodus with mass migration from the countryside to urban areas. There has been an increase in prostitution and crime, in corruption, in water pollution as a result of excessive use of pesticides and chemical fertilisers, as well as in the degradation of the soil. Ecological instability has been seen as a result of the deforestation of large areas to make way for agribusiness, especially mono-culture plantations. Peasant families are uncertain whether the ProSavana will result in the loss of their rights over the land, and how ProSavana will manage and control the approximately 14.5 hectares of communities’ land without stripping the farmers of their rights. There is no information on exactly which communities will be affected nor which mechanisms will be put in place for the management of land rights, nor how communities will have control over their cultures. Those who will be most affected are women peasants, who will be forced to seek alternative livelihoods, work as prostitutes and experience early pregnancies, as has happened over and over when communities are displaced and lose their land. Investors also intentionally create division and hostility within communities by fostering or aggravating corruption, and exploiting that division for their benefit. The Mozambican State has even amended conservation and investment laws to facilitate the entry of large projects, and has not made the changes public. The companies will also benefit from proposed various Special Economic Zones (SEZs) regulations where they will be exempt from taxes and customs duties and will likely benefit from illicit financial arrangements offshore. As with many rural communities in similar struggles, there is very little access to justice. Even after years of complaints, petitions and presentations, the National Human Rights Commission and the Ombudsman have never taken a stand. The judicial system is generally weak. The courts are not independent of the state, and hence have been seen to protect business interests over the communities. 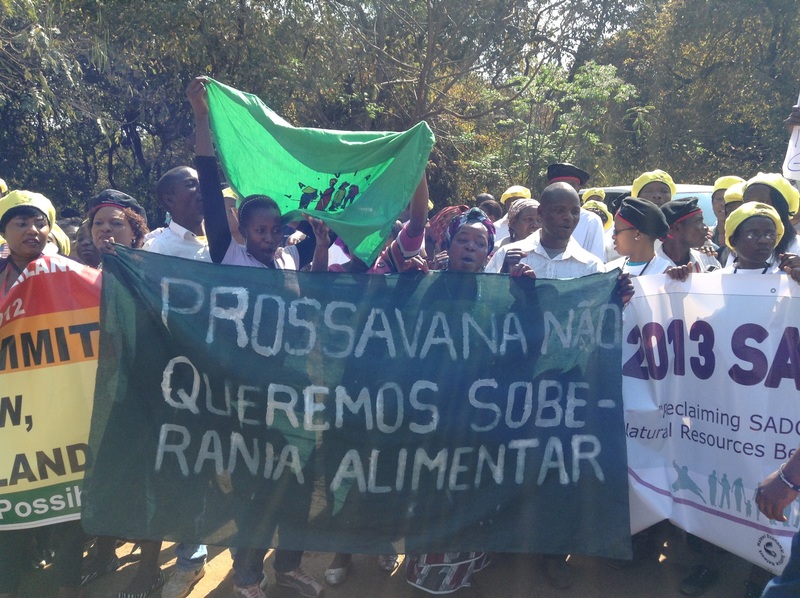 However, the Mozambican Bar Association has just submitted a case to the Administrative Court of the City of Maputo against the Minister of Agriculture on the issue of lack of information, transparency and public participation regarding ProSavana. There is also an ongoing investigation by the Public Prosecutor of Brazil. ProSavana has violated many international laws and conventions including the United Nations Universal Declaration of Human Rights, the UN Declaration on the Rights of Indigenous Peoples the Constitution of the Republic of Mozambique, ILO Convention 169, the Convention on the Elimination of all Forms of Discrimination against Women, the Maputo Protocol and the African Charter on Human and Peoples’ Rights on the Rights of Women in Africa. ProSavana is a clear example of the way in which states, private investors, public enterprises, financial institutions and so-called development institutions are working together, creating an architecture of impunity that is very difficult for the campaign to break down. But there is still time to stop the program from doing great damage. This work has to be done immediately. Grace Tepula and Susan Chilala, of the Zambian Rural Womens Assembly (RWA) and small-scale dairy farmers themselves, exposed how Parmalat violates basic rights to food and a decent livelihood. The result has been increased poverty, malnutrition and the death of their cattle. But how did this nightmare become reality? In 1991. After the first democratic election, when the Movement for Multiparty Democracy came into power, the new government decided to follow the international neoliberal consensus and implement structural adjustment programmes by privatising most of its state-owned enterprises. This policy led to the sale of the National Dairy Board to Bonita (South Africa). It was then bought by Parmalat in 1998, which in turn was acquired by French dairy giant Lactalis in 2011. The agreement gave Zambian farmers 30% of the shares. But their minority position gave them no influence over the decision-making processes. So in 20 years the national dairy board became integrated as one of the numerous assets of one of the world’s leading dairy industry companies. And this integration, through an aggressive strategy of merger and acquisition, is now paid for by the workers, especially the women. Initially Parmalat seemed to be favouring Zambian interests by agreeing to upgrade local production facilities. But they did this to secure political support, at the expense of the unorganised workers. The pricing policy became increasingly favourable towards Parmalat. Now, it’s at a point where Parmalat buys a liter of milk at K3.78 (0,4US$) from small scale farmers, but sells it at prices as high as K10 (1,1$) to K12 (1,3$) on the market. And on top of that, individual contracts give Parmalat the right to change the price of the milk at will, with farmers having no negotiating power. Meanwhile other larger scale commercial farmers secure contracts that guarantee prices between K5 and K6 per liter. Here the strategy is clear: take advantage of the isolation of individual producers and their absence of alternative distribution channels to capture as much as possible of the milk’s economic value. Another method used by Parmalat to secure cheap supplies of milk is to make use of debt as a tool of dependency. They offered small-scale dairy farmers loans to purchase new cattle, to be paid back at a later stage through deductions from sales. But these deductions meant that the amount Parmalat paid for milk became so low that the women farmers could not make ends meet. They were unable to cover the costs of feed, drugs and vet services. This left them an invidious choice: work at a loss or lose their cows. Their first demand is to have the same facilities and prices as the commercial farmers, including grading of the milk to determine prices. The second is to have the right to collectively bargain with Parmalat, to replace the system of individual binding contracts. Lastly, they want to index the price of the milk to the cost of the required inputs. In spite of these demands to Parmalat, they know that they need to build their bargaining power to be able to push the company to meet their demands. Their immediate project is to invest in bulk storage facilities to reduce the costs of milk collection and storage. In the longer term, they have also started to campaign to reinforce the advocacy capacities of the Dairy Association of Zambia. National legislation should also be implemented to ensure compulsory collective bargaining of the contracts and to forbid the unequal treatment of milk providers. And finally, their objective is to make sure investments made on behalf of communities and dairy producers really benefit them locally. In this way they can make sure that local producers and dairy farmers are slowly able to take up a higher number of decision-making roles along the value chain. However, Parmalat has for now secured the support of local and national politicians, whose priority is not to support small-scale producers. The challenge is therefore for the RWA and other farmers’ organisations to slowly exert their influence over those decision-makers in order to establish an empowering legal environment. The duty now for consumers is to keep in mind that our dairy consumption can facilitate those struggles by buying local, and making an effort to buy from companies that take care of their small-scale suppliers.